Spring will be here before you know it. Get a head start on the latest hair trends and start practicing these new looks for the spring. We're taking things to another level in 2014 with these unique ponytails. The average pony isn't cutting it these days. The hottest trend is combing two looks into one while forming a ponytail. Either a braided half pony, a half pony/half bun, or a twisted ponytail - use your creativity to find a look that suits you best. 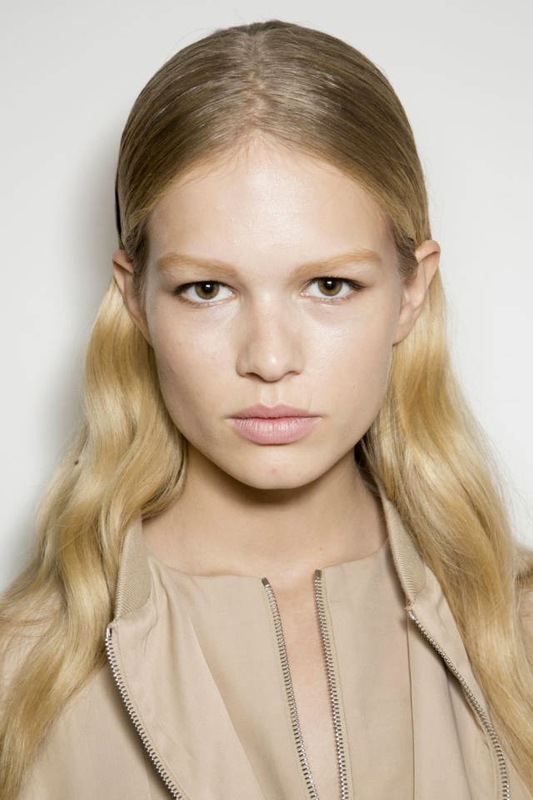 Middle parts and extreme side parts aren't new but apparently a big thing this spring. 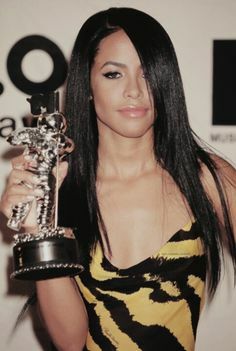 I've been rocking my extreme side part since the days of Aaliyah. You remember her look right? click here. I personally can't deal with a middle part, I've tried and it never seems to look right one me. Perhaps this season I'll give it another whirl and see how it turns out. Messy plaits are something I haven't tried yet. I am really bad at braiding my hair so the idea that the messier the better sounds amazing to me! I think I like J hud's version of this more because it's a bit tamer at the top. If you want to go all the way then definitely try a look like the model on the right. I love this look but if only I could braid my own hair! I struggle, I need to practice. 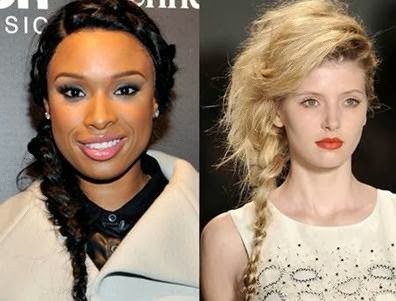 Braids have been around for a while now but this braided bun look will be hot this spring. I am definitely going to try it. If I can't do it myself I could always pop into a location like The John Barrett Salon at Bergdorf Goodman which will do the braids for you. Mixed Textures hit the runway during New York Fashion Week this past week. It's a combination of two different hair textures into one. I still have mixed feelings about this look. What do you think about it? Comment below. 4 comments on "A LIST OF HOT HAIRSTYLES FOR SPRING 2014"
This is really cool and amazing information regarding the spring season.I have learned such a nice stuff from here . I am glad that you enjoyed it! Thanks for stopping by.